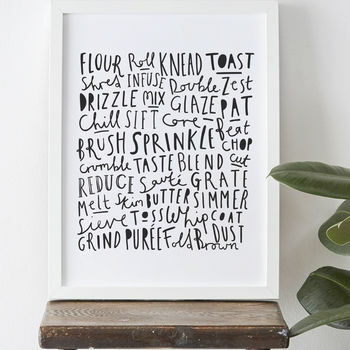 Celebrate your love of baking with this stylish kitchen print, the perfect gift for your foodie friend! 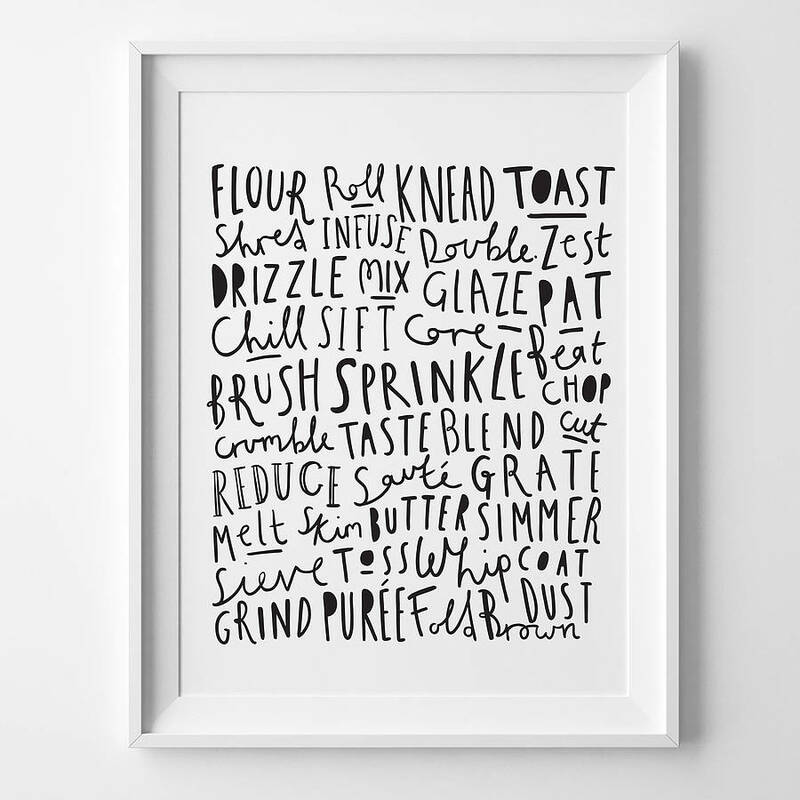 A bold and simple baking print which has the hand drawn lettering of various cooking techniques. The perfect baking gift for the chef of the family. 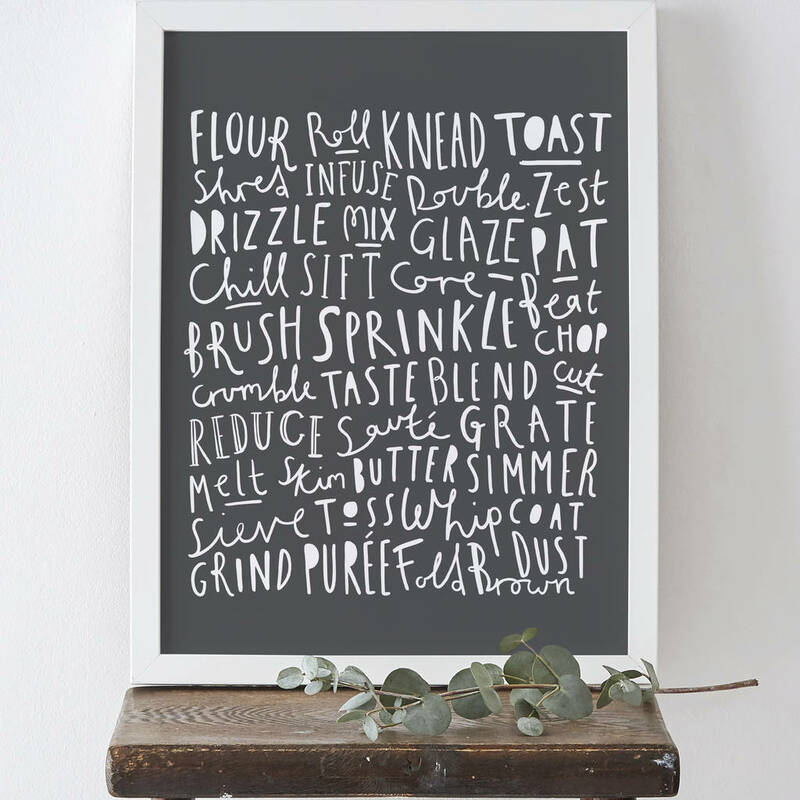 This is a kitchen print that is sure to stand out! Our aim is to make high quality prints that are unique and personal to you. We offer you the choice of colour for your print to match any home decor. 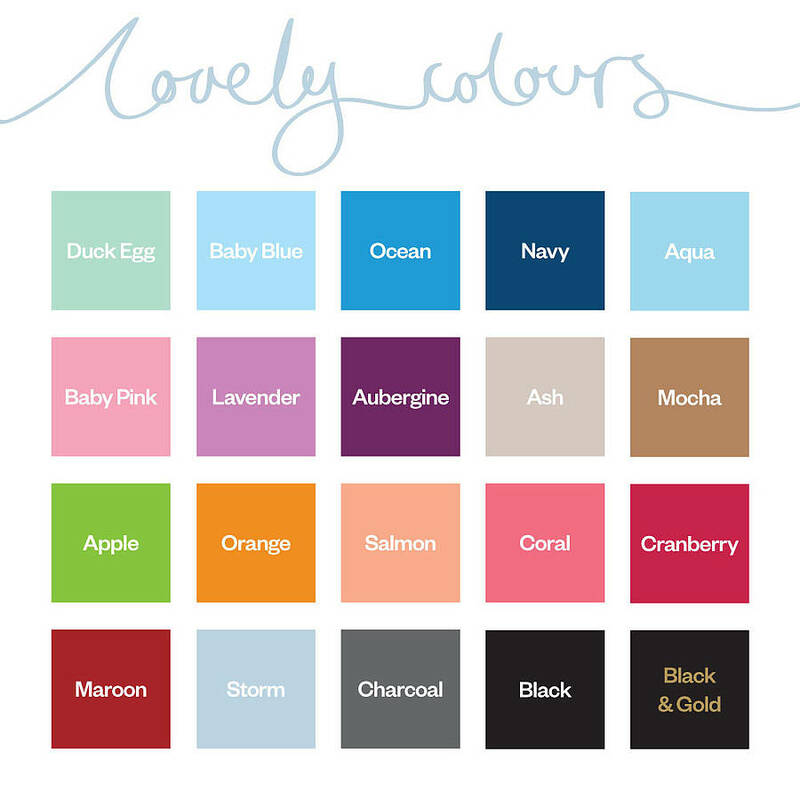 We have a choice of lovely colours to match any kitchen: duck egg, baby blue, ocean, royal, aqua, baby pink, lavender, aubergine, ash, mocha, apple, orange, salmon, coral, cranberry, maroon, storm, charcoal, black. These colours really stand out and make a fantastic centrepiece in any room. You can choose for the text to be coloured on a white background, or the reverse which would be white text on a coloured background. Our kitchen prints are created using thick 220gsm archival matte paper, which gives crisp lines and bold colours. We use high quality inks to prevent fading over time, this offers a long lasting print.